◈ Data of about 5,000 students had various abilities are applied to the game. This game similarly progresses as a turn method such as the famous strategy simulation game Romance of the Three Kingdoms. Unify Seoul in Korea through fierce battles and diplomatic wars. This is the shortcut you can unify by recruiting a talented student to the student council, developing the school, suitable alliances and oppositions with other schools. Let’s start to unify Seoul! ◈ Now, all of 318 high schools located in Seoul fight a war. ◈ About 5,000 students had various abilities appear. 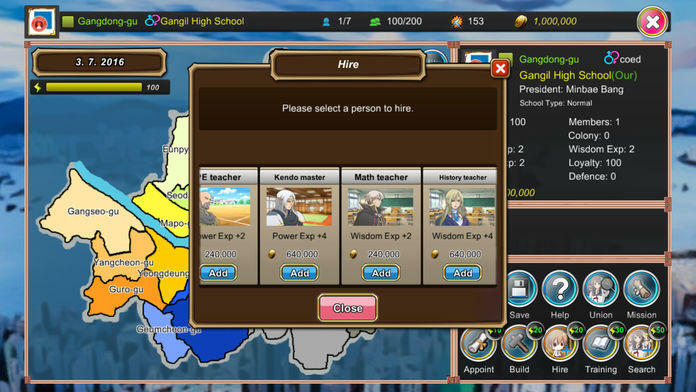 ◈ In custom mode, you can make your school and friends fight a war. ◈ The play progresses for 3 years until the main character enters into a school and graduates from the school. ◈ You don’t need to give money and buy items in on-line such as no leading account and no paying in-app etc. ◈ There is never smart push(message) that comes in and out of season. Free at the smart push! ◈ Achieve about 80 missions! - This game supports Korean, Japanese and English. - If you that want to use languages of your own country ask through the e-mail, official homepage and Facebook etc, we will convey language packs. - If you translate language packs conveyed as languages of your own country, we will apply to the game. 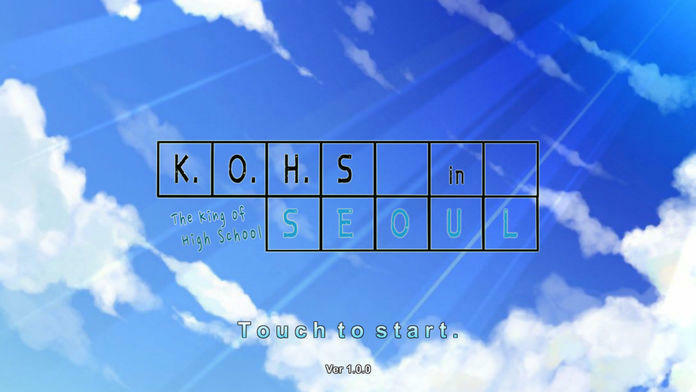 : Check new information of the king of high schools in the official homepage and SNS. Fixed that mission count not apply when occupied areas. Added cheat button to get 0.5 million gold.